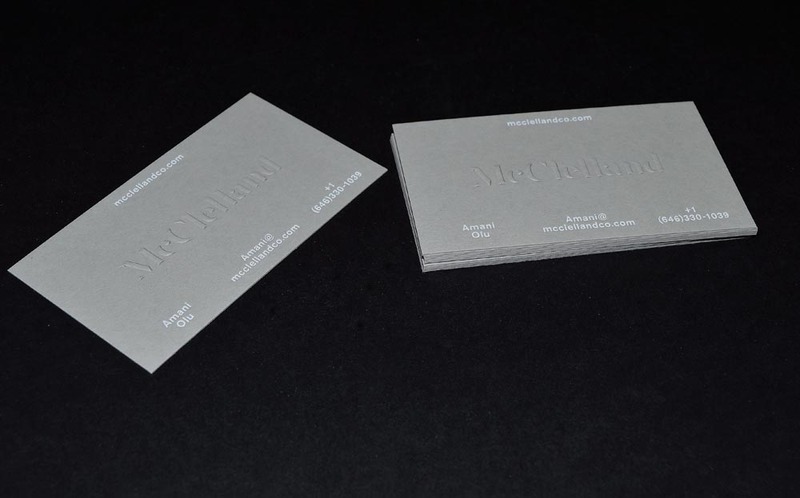 Embossing | AccuColor Plus, Inc.
Embossing is done on our two foil stamping presses. 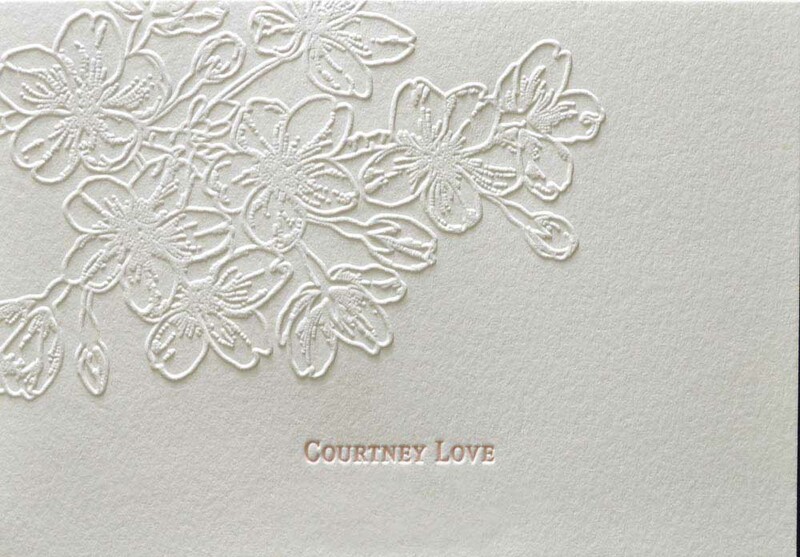 Embossing creates a raised image which is equally sharp on the back of the card, only in reverse as a deboss. 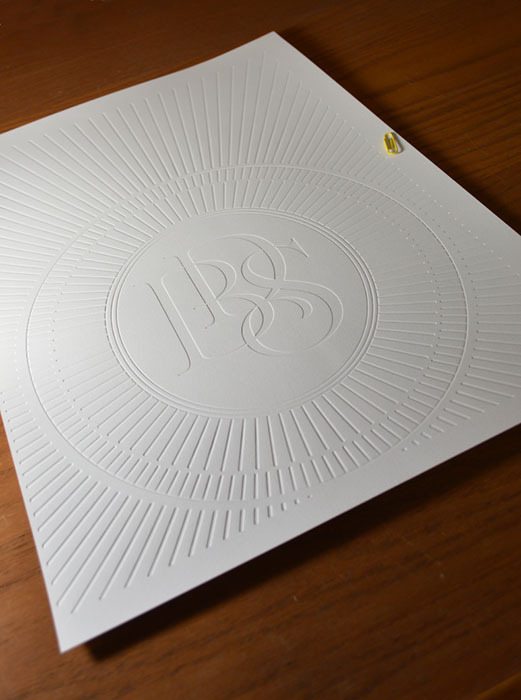 For this reason embossing is best done on items which are only printed on one side. 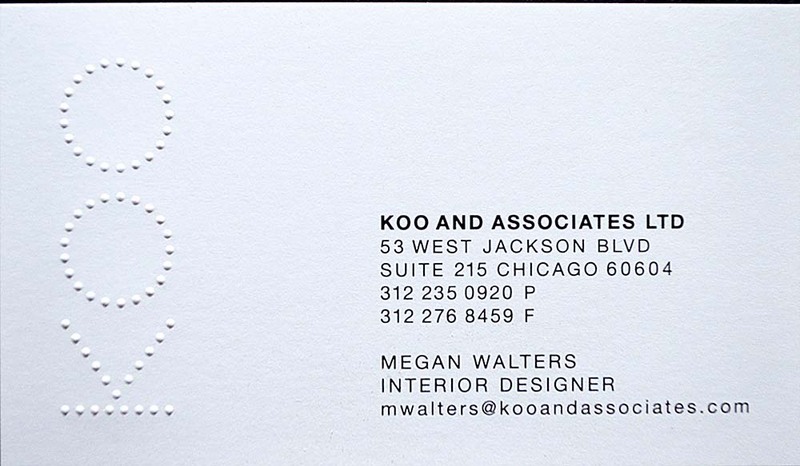 For a two sided printed piece with embossing, it is important to strategically place the copy on the card's back, as to not be adversely affected by the embossment show through. 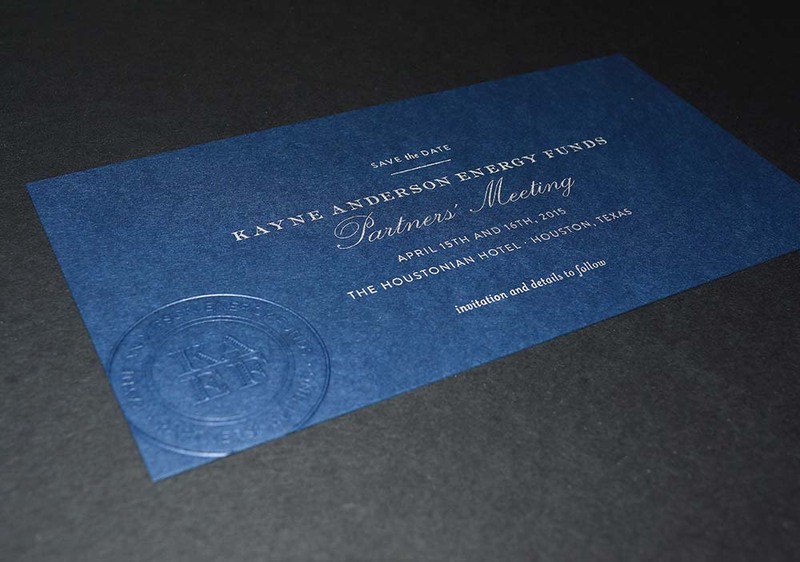 Embossing is best when the copy is a minimum of one point thick. Very fine or thin copy will not have a high emboss level. 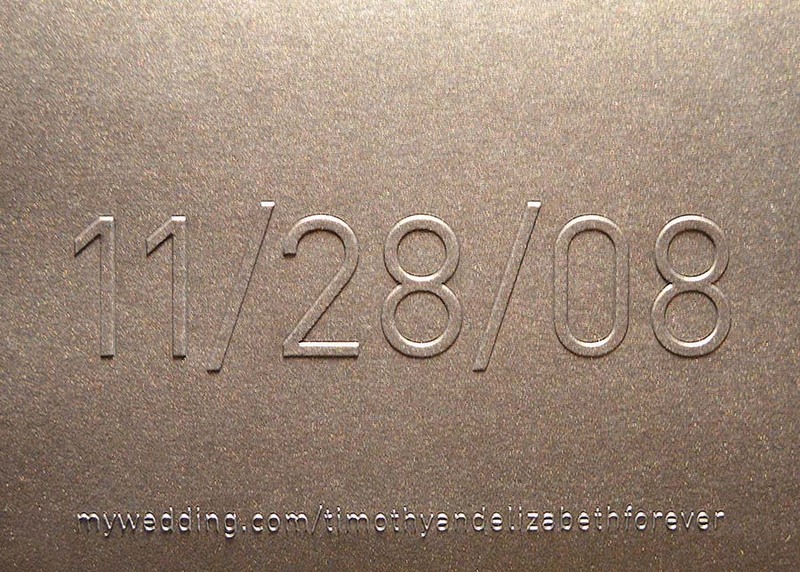 Embossing can be done in an unprinted area, on its own. This is called blind embossing. 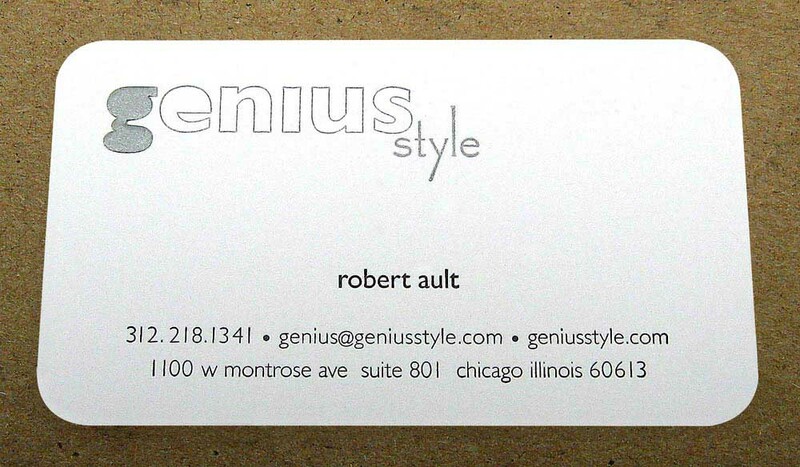 Embossing can also be done in registration to printed matter. 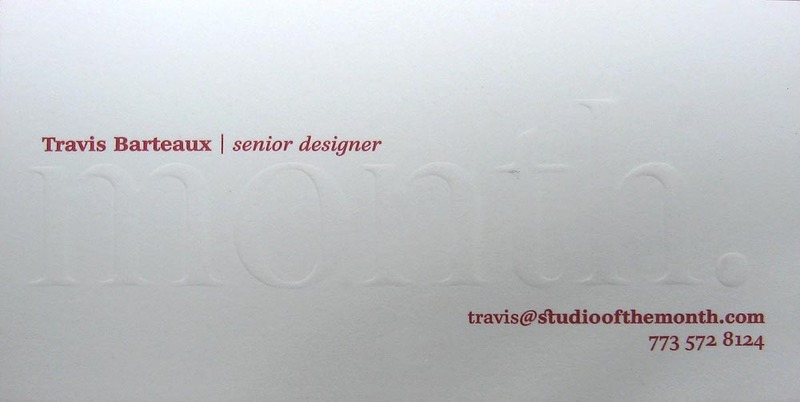 This is called registered embossing. 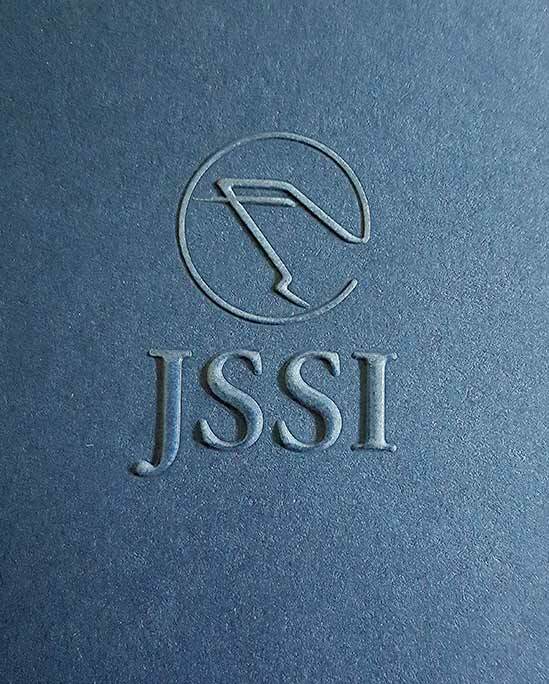 Our embossing equipment is set up for the production of paper materials, both text weight and cover weight. We cannot emboss leathers or already bound books. 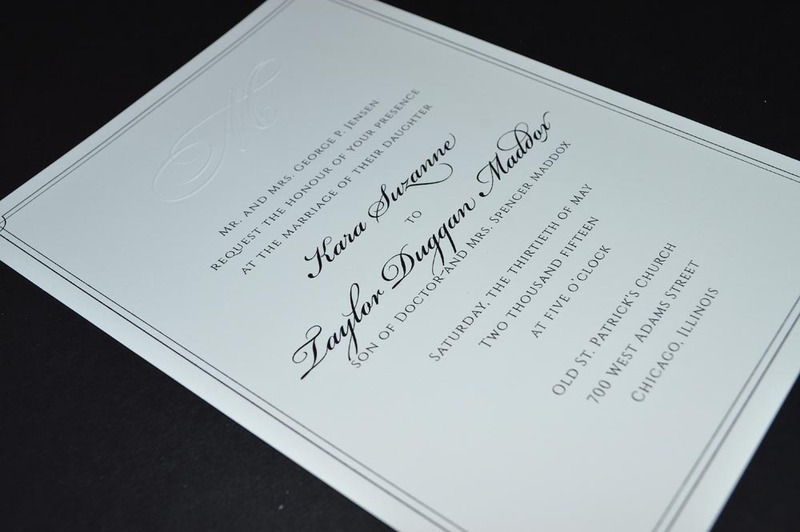 The most frequently produced items are: embossed wedding invitations, embossed business cards, embossed stationery, embossed invitations, embossed cards and embossed letterheads.